Back home, something that was sort of a lore for my boys, was Nerf Gun Wars with their youth group. 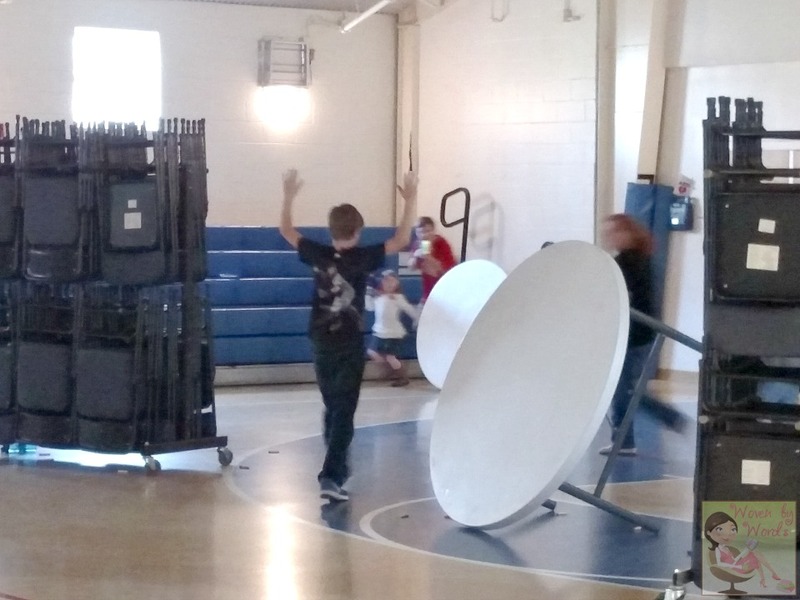 Our youth pastor at the time, Cory, had introduced this craziness to the kids. My girls weren't very thrilled with it because Nerf Guns weren't their thing. When Buddy started with youth group, the girls had gone off to college, and Pastor Cory was still playing this occasionally, but Buddy was never able to go. What was fabulous though, two of the guys who had been students with Pastor Cory, went on to introduce the game to the churches they ended up working at! So fun, right? I had mentioned to our current youth pastor, at our church here in Maryland, that this would be a really fun thing to do! I had a feeling my boys would really love to experience it for once! Glory be, Pastor Sammy pulled it off! 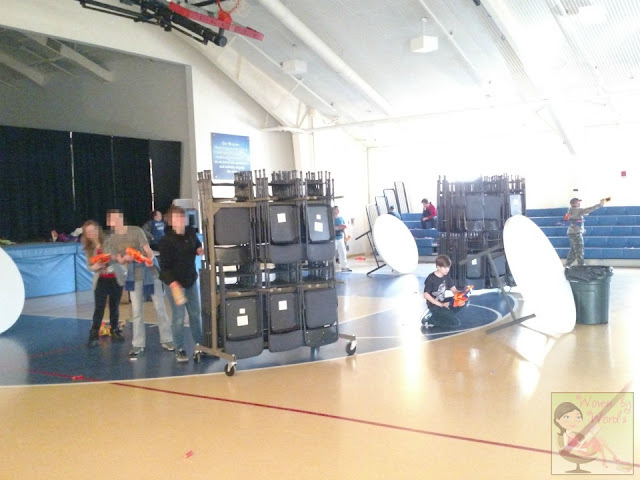 He was able to put together a Nerf Gun War for the students. They had totally taken over the church's gym, and made it into a war zone. Turned out, my oldest didn't want to go! Color me stunned. Unfortunately, he's in that place of teenagehood where he's not interested in fun things. 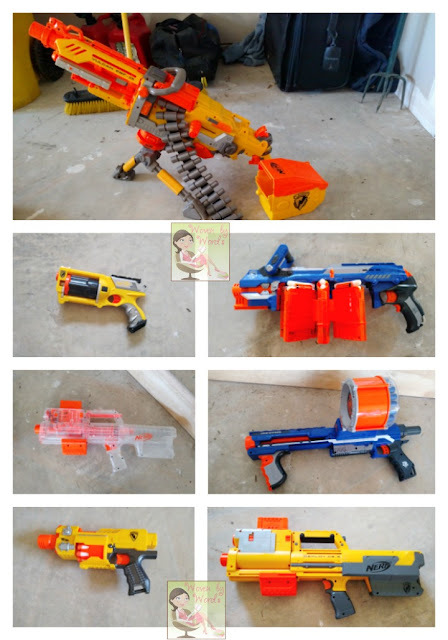 He went out to the garage and pulled out all of the Nerf guns they'd collected over the years, as well as the ammunition. He took all of these pictures to send to one of our associate pastor's son. I have to say, he was pretty thrilled with everything they had amassed. And to think they hadn't gotten any new ones in the last couple of years! One of the things my little guy had to do was put his name on EVERY single bullet! We're going to have to come up with some other way of labeling them, because at the end of the event, kids were just grabbing ones that looked like ones they had, not checking any for names. Needless to say, he came home without a lot of his bullets. All that being said, the day of the War arrived, and he was trying to find ways to basically Rambo himself. He wanted to be able to carry all of his guns on his body. As you can see from the photo above, he had too many to be able to even do that! I dropped him off, did some running around, and when I got back, took some photos and videos of the insanity. It was mass chaos to say the least. Trying to get those photos and videos put me in a position of getting shot numerous times. Totally worth it to watch the fun! What I didn't realize was, you don't go into Nerf Gun Wars and just shoot until you've unloaded all of your bullets, there are actually games you can play. lol Go figure. I wasn't there long enough to learn about all of the games they played, but they played for 3 hours with a pizza break halfway through. I know my son is hoping they'll do this again soon! It takes a lot of work, just like any youth group activity. I have a feeling, if they announce another one before summer, we'll be heading out to get the latest and greatest. 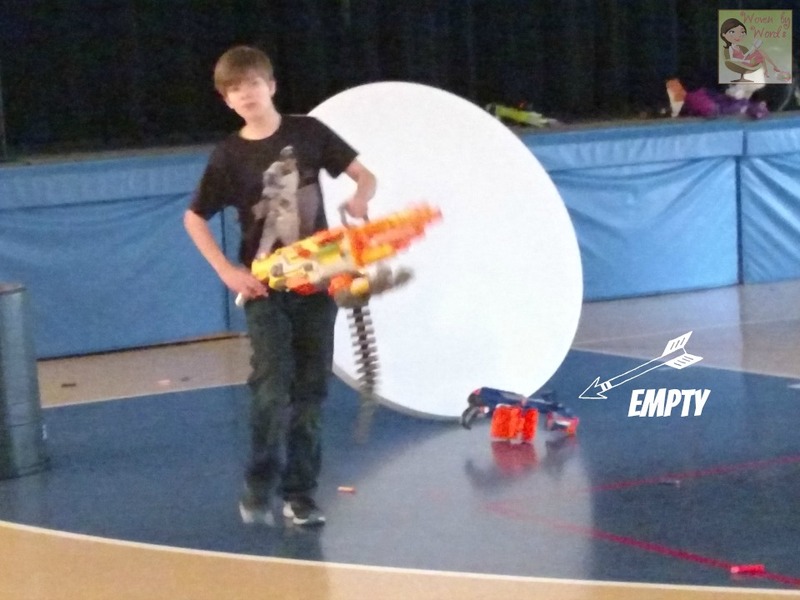 We did see a kid there wearing a vest that held extra clips, and I think one or two smaller Nerf guns. Have your kids ever participated in a Nerf Gun War?